AHR rubber liners Horizontal Slurry Pump Discharge direction can be positioned at intervals of 45 degrees. 6 inches Slurry Pump Easily replaceable liners which are bolted to the casing. R55 Liner PumpLong bearing life, Rubber Slurry Pump Wear resistant and anti abrasion wet parts, Rubber Liner Pump. NP-AHR Horizontal Slurry Pump: These systems usually require the movement of large volumes of slurry throughout the process. 1. Excellent erosion resistance for liners(against solids up to 15mm size), but limited to particles of 5 mm size for impellers. 2. Not suitable for very sharp edged solids, may be damaged by oversized solids or trash. 3. Impeller peripheral speed should be less than 27.5 m/s, to avoid the thermal breakdown of the liner, adjacent to the outer edge of the impeller (special formulations are available to allow speeds up to 32 m/s in certian cases). 4. Unsuitable for oils, solvents or strong acids, and for temperatures in excess of 77℃. 1. Used for pump side liners, where the peripheral speed of the impeller is higher than 27.5 m/s, and used for impellers where occasional trash may damage a rubber impeller. 2. Erosion resistance is greater where erosion is of a sliding bed type rather than one of directional impact. 3. Has less erosion resistance to fine solids and greater erosion resistance to coarse sharp edged particles than natural rubber, in some circumstances. 4. Unsuitable for temperatures exceeding 70℃ and for concentrated acids and alkalies, ketone, esters, chlorinated and nitro hydrocarbons. 1. Neoprene, Butyl, Hypalon, Vition A and others. 1. Not as erosion resistant as natural rubber. 2. Have a greater chemical resistance than natural rubber or polyurethane. 3. Generally allows higher operation temperature than natural rubber or polyurethane. 4. Refer to slurry pump for chemical resistance and temperature limits of individual synthetic rubbers. 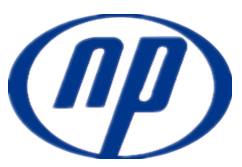 Shijiazhuang Naipu Pump Co., Ltd is a professional manufacturing enterprise of slurry pumps and spare parts. Which own Mould Workshop, Casting Workshp, Machining Workshop and Assembly Workshop. Given customer's special request for abrasion and erosion in pumping environments, we can supply the material according to customer's material formula or sample to meet your need. Naipu is willing to undertake any OEM(Original Equipment Manufacture) order for pump and mining equipment accoring to the drawing or sample. Looking for ideal Rubber Slurry Pump Manufacturer & supplier ? We have a wide selection at great prices to help you get creative. All the Horizontal Slurry Pump are quality guaranteed. We are China Origin Factory of Rubber Liner Pump. If you have any question, please feel free to contact us.